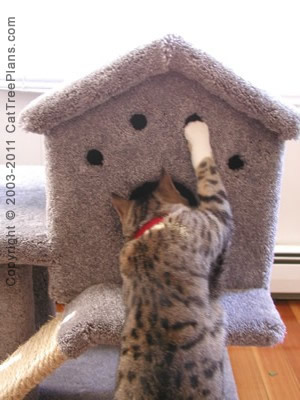 The Rum Tum Tugger Resort is perfect for the inquisitive cat. 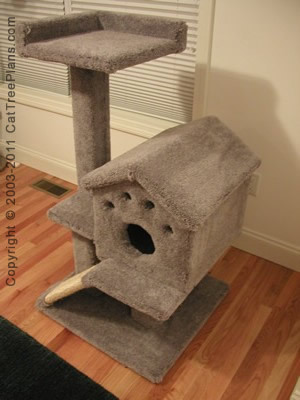 It measures approx 43 inches tall with a 24 x 24 inch base. 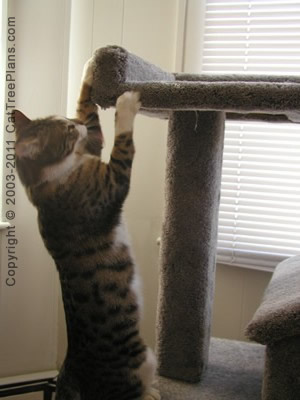 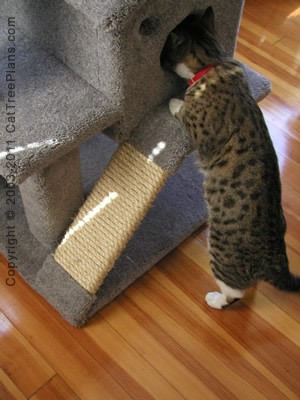 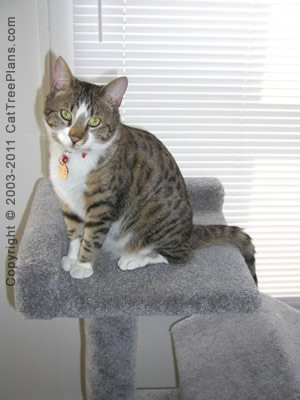 A sisal ramp provides easy access to the condo and acts as a scratching post. 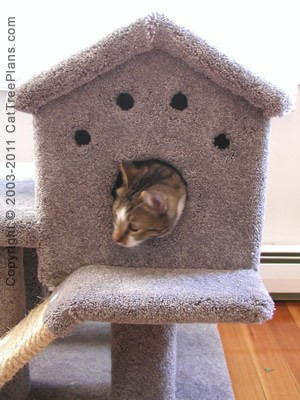 The top has a resting perch.